Some people go beyond grass, plants, and trees to decorate their yards. 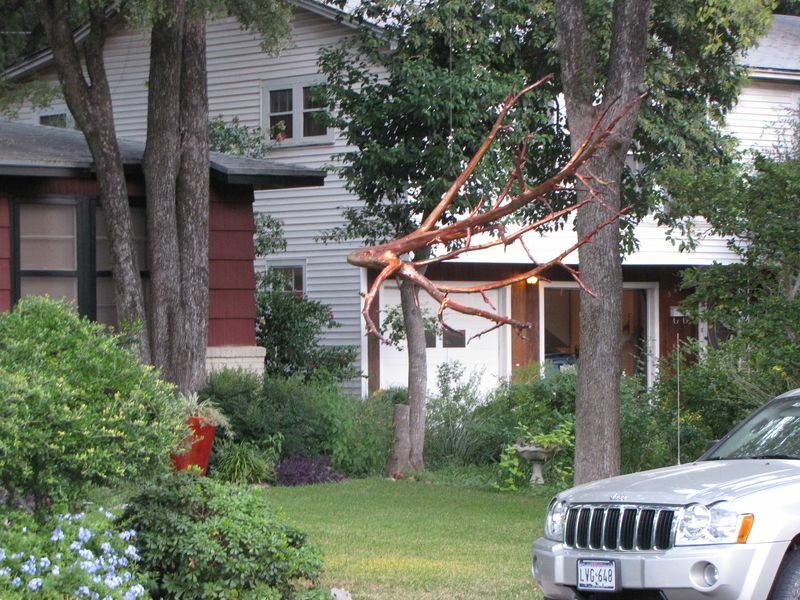 Here are photos of yard art around Allandale. They include a land shark created by owner/artist Dustin Little at the corner of Shoal Creek and McElroy. 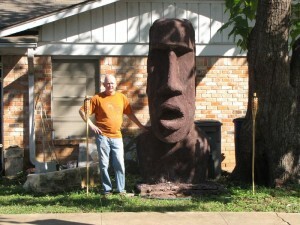 Along Great Northern just north of Gullett you will see the Easter Island sculpture created by resident and sculptor Herb Long. 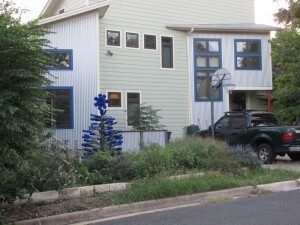 Lauren Levy got creative with blue bottles and made a bottle tree outside her home at the corner of Cavalier and Cary. 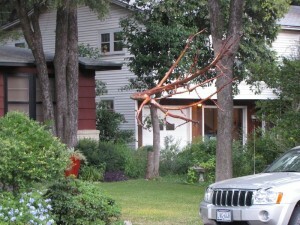 A tree branch hanging from at tree – what’s unusual about that? You will find one of Hank Waddell’s pieces hanging at the Radovich house just off of Shoal Creek south of Northland. 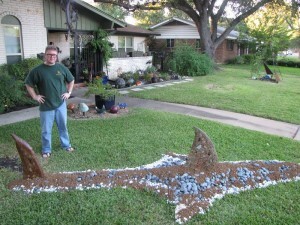 As an avid follower of yard art, I have always noticed the super commitment of the the citizens of Austin, Texas. Love the Land Shark.